Seattle-based artist Melinda Hurst Frye will exhibit her artwork entitled “Underneath” in the Boswell Hall Corner Gallery at North Idaho College from Feb. 14 to March 24. Frye will host a gallery walk of her work at 10:30 a.m. Tuesday, Feb. 14, followed by a slide lecture at 1 p.m. in Boswell Hall Room 146, and an opening reception from 5 to 7 p.m. in the Boswell Hall Corner Gallery. Frye works in themes of implied environments and shared experiences within the still life aesthetic. 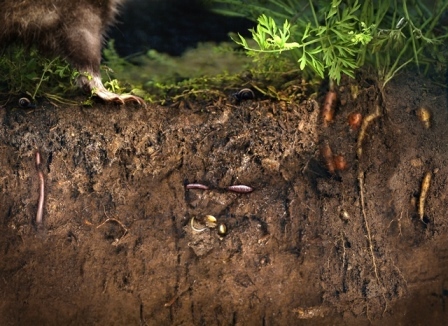 Her current work, which illustrates the mystery and activity of subterranean ecosystems, was featured on Humble Arts Foundation and WIRED photo, and may be seen in various upcoming solo and group exhibitions throughout the Northwest region. Frye holds a master of fine arts degree from the Savannah College of Art and Design and is a dedicated member of the Society for Photographic Education. She teaches photography at the Art Institute of Seattle, holds occasional workshops and is an artist member of CORE gallery in Seattle. Frye is currently on sabbatical this winter, creating new work for her next exhibition. The Corner Gallery is open from 10 a.m. to 4 p.m. Monday through Thursday and 10 a.m. to 2:30 p.m. Friday. Admission to the gallery is free. Information: (208) 769-3427 and www.mhurstfrye.com.